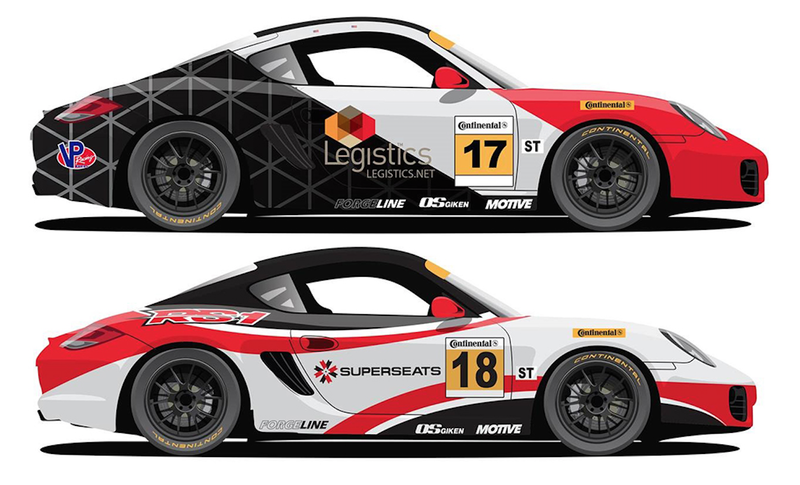 For 2016, Spencer Pumpelly will co-drive with Nick Galante in the No.17 Legistics sponsored Porsche Cayman, with support from Cobra Golf. Galante has 19 career races in the series, with five top 10 finishes and a career best finish of seventh at Mazda Raceway Laguna Seca in 2013. Pumpelly was the lone driver to win in both the WeatherTech SportsCar Championship and Continental Tire Challenge in 2015, taking GT Daytona victories at Mazda Raceway Laguna Seca and the Petit Le Mans powered by Mazda for Park Place Motorsports. He has 93 career races in the Continental Tire Challenge, with nine victories, 23 podiums, three poles and 49 top 10 finishes. The No. 17 will have a new look for 2016 along with Legistics as the new sponsor. Philip Frengs, president and CEO of Legistics, an experienced on-site provider of practice support for law firms, knew a good thing when he saw it. "The match up of Spencer and Nick with RS1 was clearly a good pairing. I am excited for the season to start and see what we can do."